Obviously you should hit up the classic spots like Tadich Grill, Sotto Mare, and Swan Oyster Depot during Dungeness crab season. But now that it's that special time of year, you'll find crab walking into a way larger breadth of menus—especially since the coastal fisherman are saying it's going to be a great year. We asked a bunch of chefs around town how they're using the local bounty, and gathered up the best dishes to pass on to you. 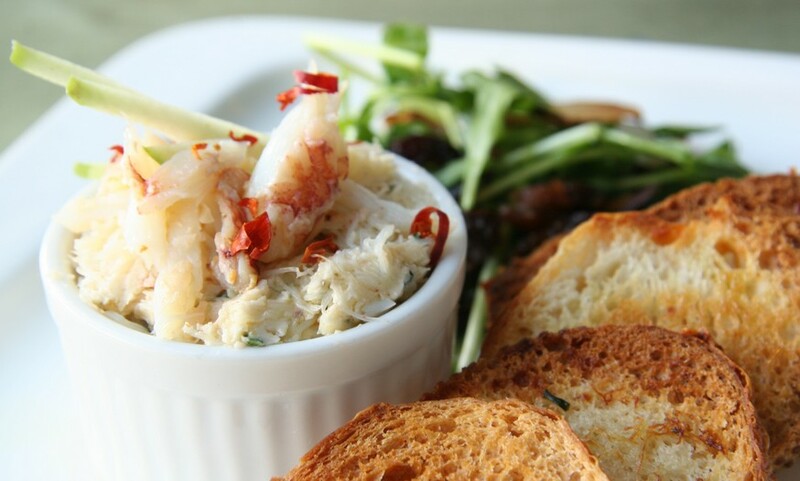 Get ready for Dungeness crab in salads, chowders, flatbreads, dips, sandwiches, benedicts and more. Valencia Street's newish wine tavern always has "She Crab" corn chowder made with sea urchin and Carolina rice, but now the usual lobster meat is subbed out for fresh Dungeness. Chef Bill Niles also has a new chilled crab salad on the menu, made with roasted white beet, white grapefruit, scallion salsa verde, chervil and crumbly, partially ripened goat cheese. 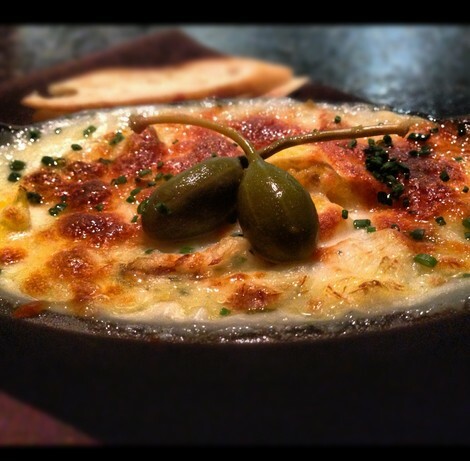 Chef Matthew Dolan is doing a dramatically plated half crab, served simply with olive conserva, and Meyer lemon butter. In NoPa, the king of seafood (and great beer, for that matter) is Bar Crudo, and the twin brothers who own it have added a Dungeness crab rillettes with green apple and pink peppercorn. The plate is served with little toasts brushed with crab butter, so you can stack mounds of the rillettes on top. 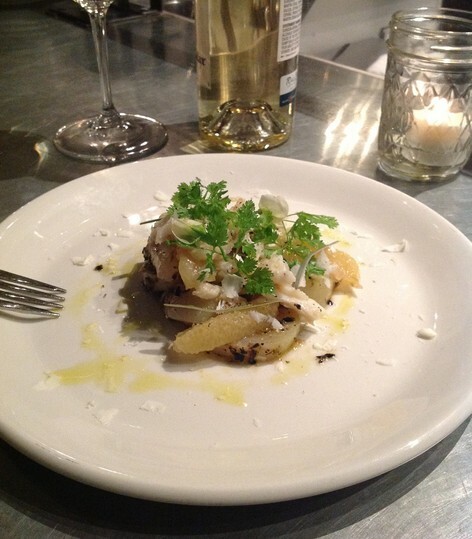 There's also a palate-refreshing salad of arugula, almond and raisins served on the side. 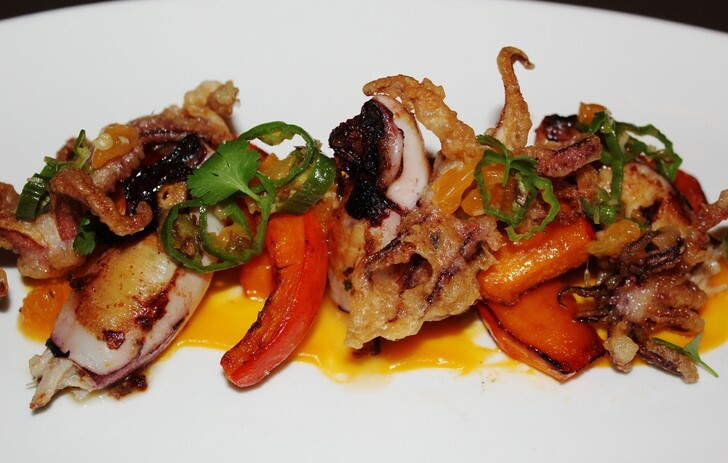 Last week, executive chef Pam Mazzola added Dungeness-stuffed calamari to the appetizers section of the menu. The dish is plated with ginger, meaty shiitake mushrooms, spicy, roasted kabocha squash, shishito peppers and a mandarin orange relish. Chefs Sarah and Evan Rich change the toppings on their housemade plancha bread with the seasons. 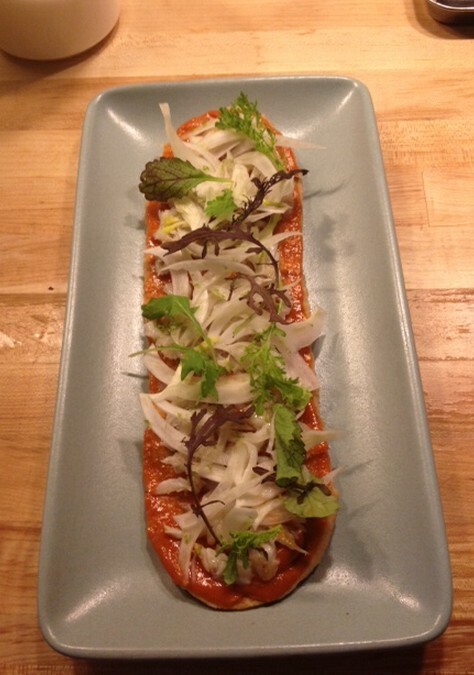 Right now, the crispy and doughy slate is slathered with a sauce made from charred Early Girl tomatos, then finished off with a scatter of Dungeness crab and sliced fennel. At this Potrero Hill seafood-centric spot, there's a brandade made in an iron skillet with Dungeness crab, mozzarella, Parmesan, creamy potato puree, and purple cauliflower. The whole deal is baked to bubbly in the oven, and served with crispy baguettes, so you've got something to dip into the creamy, crabby goodness. Be on the lookout for a crab salad to pop onto the menu soon too. 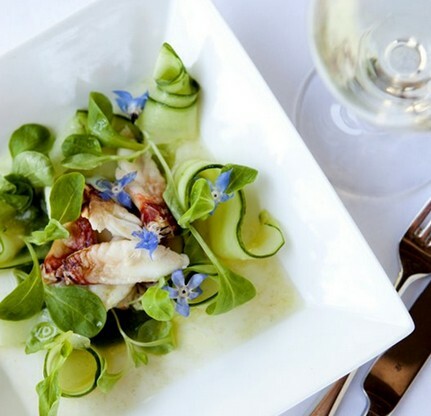 Chef Parke Ulrich plates chilled Dungness claw meat atop a vibrant monochromatic bed of cucumber ribbons, buttery mache, zucchini puree, and fragrant lemon verbena. A scatter of violet borage flowers gives the plate a pop of color. Both Castro and Fillmore Street outposts of this New England-style fish shack will be adding a new grilled crab special every week for the next month or so. This week's dish will be a grilled salt and pepper Dungeness with jalapenos, scallions, butter and lime. 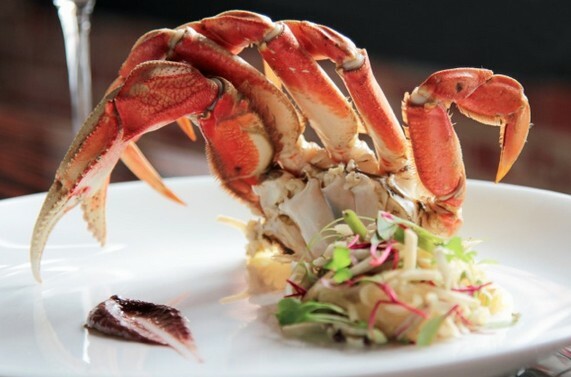 Next week will be a slightly Asian-inspired ginger-lime crab with jalapenos, sesame oil and cilantro. Plain, delicious grilled crab with garlic butter and grilled lemon is also available. An unassuming, soulful Italian restaurant, Seven Hills sits at the top of Russian Hill on Hyde Street. 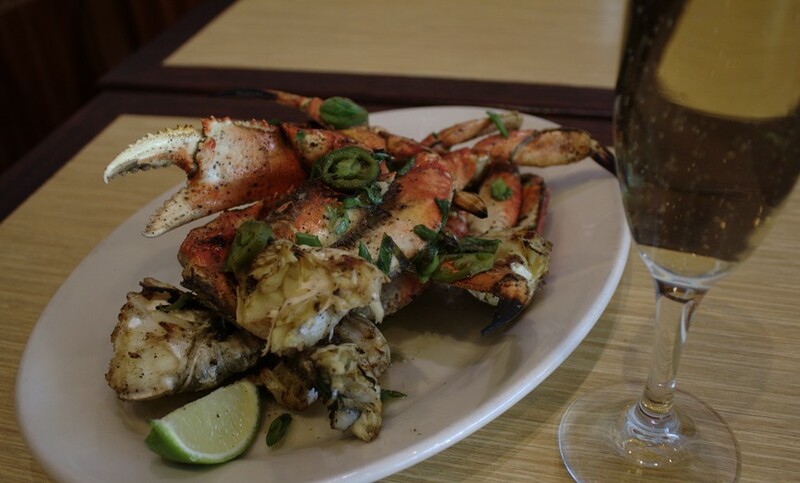 Since it is run by Alexander Alioto of that Alioto family, you better believe the menu nods to local Dungeness crab during the season. 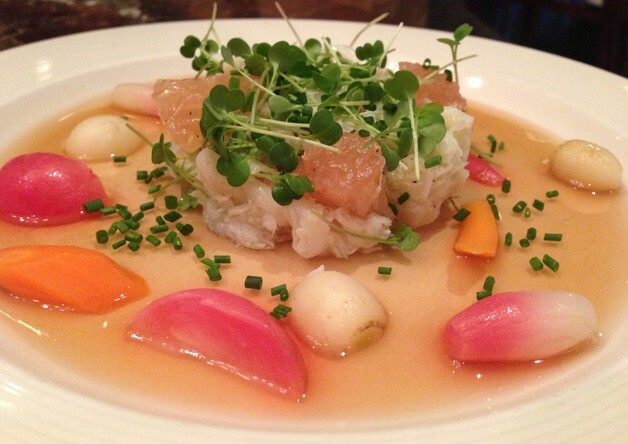 Right now, Alioto has an artichoke heart with crab and lemon hollandaise, and a delicate chilled crab salad served with tomato water gelee, baby white turnips, French breakfast radishes, baby carrots, pink grapefruit and microgreens. Go to Mission Rock Resort on a nice, sunny day for its great setting out on the water in Potrero Hill. 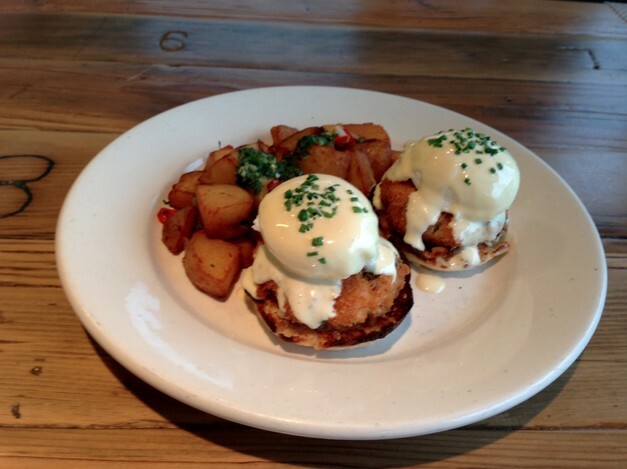 The joint has passable menus, and since Dungeness is in, you should get the crab cake benedict or try the Rock Roll sandwich, made with a simple mixture of fresh crab, Bay shrimp, and drawn butter on a classic torpedo roll.